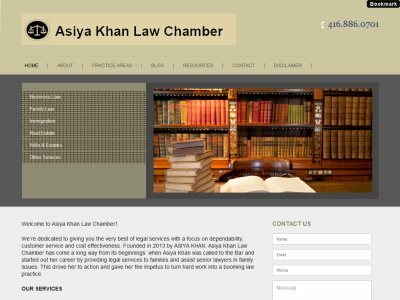 Asiya Khan Law Chamber is a law firm in Toronto, Ontario. Founded in 2013. Practice Areas: Business Law, Family Law, Immigration, Residential Real Estate, Wills & Estates.